28 PC. 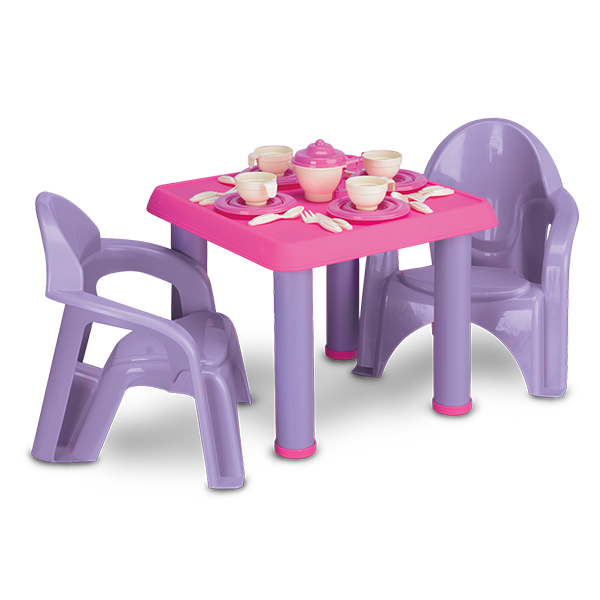 TEA PARTY SET | American Plastic Toys Inc. Perfect for an afternoon tea party! This set is complete with 25 accessories, including cups, saucers, plates, silverware, and a tea pot. Packaged in a colorful, corrugated carton with a full color litho label.